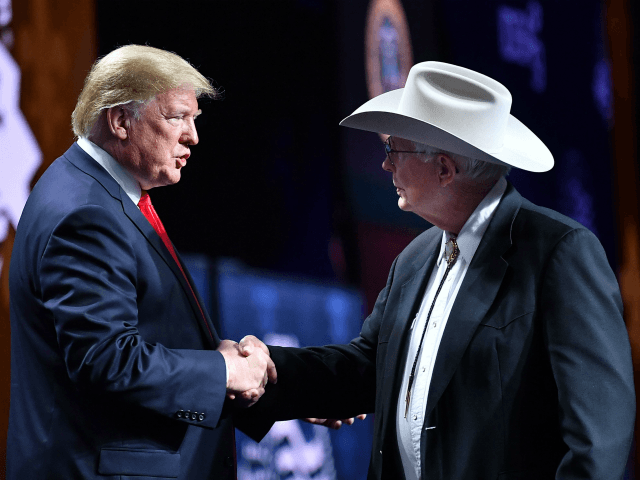 The president commented during his speech at the American Farm Bureau Federation’s 100th annual convention in New Orleans, Louisiana. “Through your sweat, through all of your work, the strength of your hands, and the faith in your hearts, the American farmer feeds, and fuels, and sustains our nation,” Trump said. Trump encouraged farmers to remain positive during his ongoing trade disputes with China, citing success in other trade negotiation deals. He touted the new USMCA trade deal that would replace NAFTA and open up more exports to Mexico and Canada. He also reminded farmers of the recent tax reform bill as a positive development, especially the decision to remove the death tax. He also pointed to a recent new rule allowing ethanol E-15 fuel to be used year-round as helping corn farmers in the midwest. Despite criticism from environmentalists, Trump said he rolled back the Waters of the United States (WOTUS) regulation imposed by the Obama administration to help farmers. “We’re going to get government off your backs so you can earn a living and support your families doing what you love,” he said. “It’s only going to get better because we’re doing trade deals that are going to get you so much business, you’re not even going to believe it,” he said.